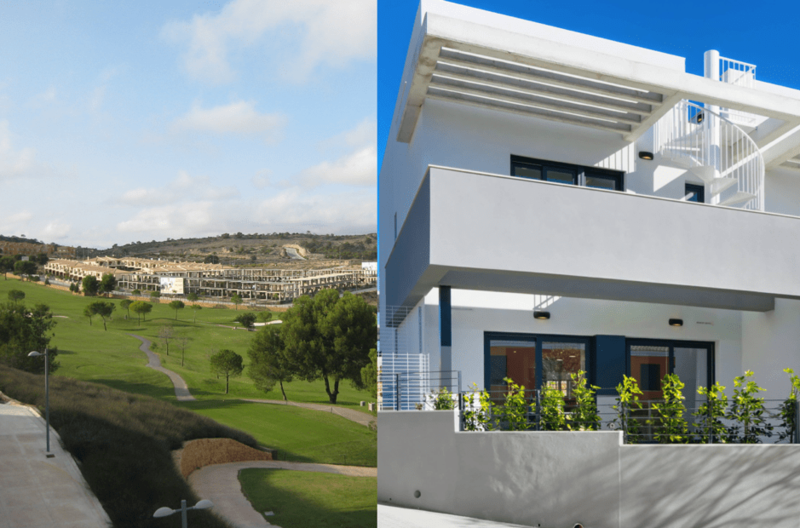 Leading Spanish home builder Taylor Wimpey España has reported impressive results for its 2018 performance, delivering 342 homes over the course of the year, compared with 301 in 2017. The 14% increase in completed homes was complemented by an improved operating profit of £29.2 million for 2018 (2017: £26.8 million). The success of developments such as the Costa del Sol’s La Floresta Sur was key to the company’s robust performance. However, the Taylor Wimpey team is about more than making Spanish second home buyers’ dreams come true – staff also want to make young people’s dreams come true. They are doing this through active fundraising for their participation in Challenge 2019. The Challenge event is held every year by Taylor Wimpey in order to raise money for charity. Teams from across the vast organisation test their spirit, strength and teamwork in a series of demanding challenges while raising funds for worthy causes. This year, the teams will be scaling the Brecon Beacons in Wales in order to raise money and awareness for the Youth Adventure Trust, which works with outdoors with vulnerable young people to build their confidence and skills, and DEBRA, which works to improve the quality of life of Spanish people with epidermolysis bullosa, a rare and painful condition where the skin blisters easily. Taylor Wimpey España has a strong track record when it comes to the Challenge events. In 2018, the team raised a record-breaking total of just under £13,000 – 323% of its original fundraising target and the highest amount raised by any of the teams taking part. The effort contributed to a total amount pledged by parent company Taylor Wimpey of £167,575 – the highest sum ever raised by its annual Challenge. The competitive Spanish team also did well during the 2018 event itself, coming first in the ‘Beast’ hiking competition and third in the ‘Dragon’ hiking and biking competition. This year, the team is fired up to perform even better – both in the Brecon Beacons and in terms of its fundraising efforts. As if the lure of its sunshine, coastal delights and superb gastronomy weren’t enough, Spain has just been declared the healthiest country on the planet, shooting up the rankings from its previous position of sixth healthiest. The 2019 Bloomberg Healthiest Country Index ranks nations based on factors ranging from sanitation and clean water to obesity and life expectancy. Life expectancy at birth in Spain is already the third highest in the world and is expected to be the highest by 2040. Leading Spanish home builder Taylor Wimpey España is certainly familiar with the health benefits of life in Spain, having been building homes on the mainland and the Spanish islands for the past 60 years. For those who holiday or buy second homes on Spanish islands such as Mallorca, the local cuisine is a big draw. From delicious vegetable dishes such as tumbet (layered aubergine, potato and red bell peppers topped with tomato) to the stew-like arros brut, the island’s many gastronomic delights are a real pleasure to experience. Together with the myriad other joys of Mallorcan life (the sea, mountains and balmy climate, for starters), its cuisine cannot help but charm. For those looking to make it a regular part of their lives and enjoy the health benefits of all things Spanish, a holiday home on Mallorca makes perfect sense. Taylor Wimpey’s just-launched Blue Cove development at Cala Lliteras (Capdepera) is ideally located to enable buyers to enjoy the best of island life. The first line homes overlook the sea, with spectacular views over the bay and its turquoise water. A coastal footpath leads to Cala Agulla, just 750m away, meaning that the properties provide the perfect blend of tranquillity and easy beach access. Blue Cove provides a range of one and two-bedroom apartments, two-bedroom duplexes and three-bedroom townhouses, all designed with Taylor Wimpey España’s usual level of exceptional attention to detail and high-quality finishes. The ground floor homes enjoy private gardens, while the penthouses and duplexes benefit from private solarium terraces and terraces to the front. Owners also have exclusive use of the development’s generously sized shared pool. Prices start from €181,000 plus VAT. The Costa del Sol first began actively cultivating its tourism business at the beginning of the 20th century. More than 100 years later, it remains one of Spain’s most popular destination for those seeking sun, sand and relaxation. Marc Pritchard, Sales and Marketing Director of leading Spanish home builder Taylor Wimpey España, knows the Costa del Sol inside out. He has played an active role in the delivery of holiday homes such as the spacious apartments of La Floresta Sur, near Marbella (available from €228,000 plus VAT), and the stylish townhouses at Horizon Golf at La Cala Golf Resort (from €435,000) for the past 20 years. Now, Marc shares his thoughts on precisely what it is that gives the Costa del Sol such lasting appeal and what’s in store for the region in 2019. 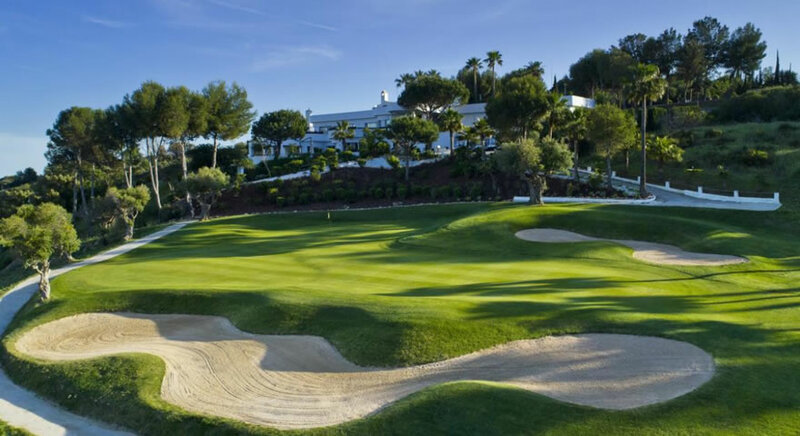 What is the outlook for the Costa del Sol in 2019? We expect to see a steady increase in property prices over the course of this year along the Costa del Sol. We also expect visitor numbers to remain stable in 2019, following a meteoric rise in 2018 (Spanish visitor numbers shot up by 10% in 2018, according to the country’s national statistics institute, the INE). Malaga province now welcomes more than 5 million tourists per year and we anticipate the region continuing to enhance the leisure facilities and cultural pursuits on offer in order to cater to those visitors. What are the top 2019 Costa del Sol hotspots likely to be? This year, it’s all about Malaga, Torremolinos and Marbella, both as holiday destinations and as locations in which to buy second homes. Foreign buyers now account for a full 31% of property purchases in Malaga and we expect that figure to remain much the same in 2019, making Malaga a key hotspot for the year ahead. Are there any ‘up and coming’ parts of the Costa del Sol that second home buyers should keep an eye on this year? Absolutely. Marbella has long been synonymous with fashion and glamour and its reputation is growing rapidly, with visitors from around the globe discovering this Spanish gem. Interestingly, we’re seeing Torremolinos coming back into fashion right now too. The town has left its rather dubious 1980s reputation in the dust and is now a popular haunt for both Spanish and international visitors. In fact, its popularity with domestic tourists means that Torremolinos has a wonderful, authentic Spanish vibe. What is it about the Costa del Sol that causes so many holidaymakers to want to return there again and again? There are several reasons that the Costa del Sol remains so popular. The bountiful sunshine and year-round warm climate call to many visitors, but there’s plenty more to the area than just the ‘sol’ for which it is so well known. From outstanding sandy beaches to over 70 golf courses that can be enjoyed all year long, this stretch of coastline offers a wealth of pleasurable experiences. The lifestyle and gastronomy of the local area are also attractive, as are its many cultural and historic monuments. From a practical standpoint, the Costa del Sol is very well connected, with an international airport and a number of low-cost carriers. The fact that English is widely spoken and that the cost of living here is low compared to many other European countries also serves the area well in terms of attracting visitors from overseas. Why is it that the Costa del Sol works so well as a retirement destination, as well as a place to visit? Many people seek out year-round warmth for their retirement years, which obviously the Costa del Sol can provide. It’s also got great health services, a low cost of living, a relaxed lifestyle and good connections, be they by plane, bullet train, boat (there are several marinas) or car along the region’s modern motorways. What tips would you give to anyone thinking of buyer a Costa del Sol property this year? Always buy direct from a well-known developer such as Taylor Wimpey España! We’ve been building here for 60 years, which means that buyers can expect high quality finishes, native speakers of their first language and exceptional customer service. Sadly that’s not the case with every developer in the Costa del Sol. What are the latest building/design trends in terms of second homes on the Costa del Sol? Contemporary properties in this area boast large windows and terraces in order to maximise enjoyment of the Spanish sun. Interiors are open plan for relaxed and connected family living, with tech features including USB sockets, WiFi and charging points for electric cars. We’re also seeing plenty of energy saving appliances in use in the latest Costa del Sol homes, from modern showers to highly efficient heat pumps and air conditioning units. Other than the Costa del Sol, where should second home buyers be considering closely in Spain this year? The Costa Blanca is always a good choice. It offers lower prices than the Costa del Sol, while still offering an excellent climate, relaxed lifestyle and good international connections. Mallorca and Ibiza are also great locations for second homes, offering a vibrant, stylish experience that comes with all the unique quirks of island life.